A grad student set the single-show record on "Jeopardy!" Tuesday, winning a whopping $77,000 by making a bold wager. Roger Craig, 33, who attends University of Delaware, broke the old record of $75,000, held by Ken Jennings, who won 74 games in a row six years ago. 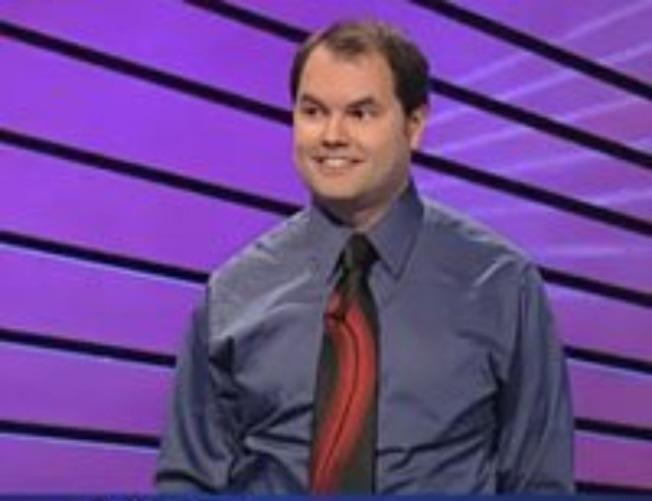 Jennings got to the record tally by taking his $47,000 and plunking down $30,000 of it on the Final Jeopardy category "Literary and Movie Title Objects." The clue: "The inspiration for this title object in a novel and a 1957 movie actually spanned the Mae Khlung River." He came up with the correct answer -- "What is 'The Bridge on the River Kwai'?" After two days on the show, Craig has earned $114,000.